Linepipe steels find application in oil and gas transportation, pressure vessels, offshore and other engineering parts because of its high strength as well as high ductility. The reason behind the combination of high strength and ductility is the very fine-grained microstructure. 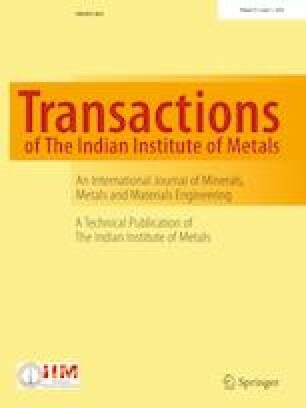 In the present work, a heat treatment procedure was used to alter the microstructure of as-received parent metal and to study its effect on the corrosion behaviour of as-received X70 linepipe steel. One-step austenitizing followed by quenching and subsequent tempering was performed at 300 °C, 450 °C and 600 °C temperatures to alter the microstructure of as-received base metal. To find the corrosion behaviour due to weight loss, as-received steel specimens were exposed in four different environments for 30 days (normal water pH-7, seawater pH-8.2, 5%NaCl + 10−2 mol/l sodium thiosulphate pH-3 and 5%NaCl + 10−3 mol/l sodium thiosulphate pH-5). Microstructure of different heat-treated samples shows the presence of different phases developed during heat treatment. Macrostructure examination of different immersed specimens reveals the presence of pits on the outer surface. Different pH and concentration of various exposed solutions affect the corrosion behaviour of heat-treated samples. Microhardness and impact strength of heat-treated samples were evaluated. Material (API X70) and testing support by Jindal Steel and Power Limited, Angul, and Jindal SAW Limited, Mundra, is greatly acknowledged. Li T, Yang Y, Gao K, and Lu M, J Univ Sci Technol Beijing Miner Metall Mater 15 (2008) 702. http://dx.doi.org/10.1016/S1005-8850(08)60274-1.